Join us for a 2.5 mile run/walk in memory of young lives lost too soon with their families and friends. Each life will be represented on the course: The “Each-One-Counts-Mile” will feature a white flag for each loss during pregnancy. The last mile will host memorial markers of infants, children and young adults. We will kick off the event with a Rainbow Kiddie Dash for ages 2-8 years old, and wrap it up with a "Light Up for Life" Sky Lantern Release at sunset. 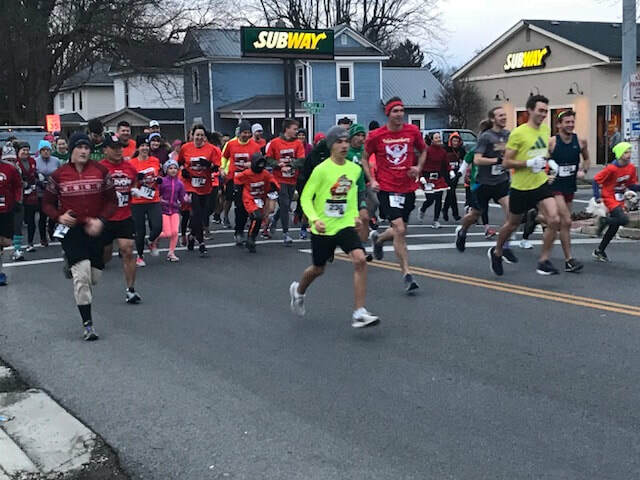 Downtown West Liberty hosts a 5K every year on the day after Thanksgiving. Proceeds go to the West Liberty Business Association, a non-profit organization tasked with hosting West Liberty's Annual Christmas Celebration and several other events throughout the year. The 5K course runs in and around West Liberty on streets lined with luminarias (milk jugs with candles). Prizes and Awards given out after the race in the West Liberty Community Room behind the library downtown. West Liberty's Annual Christmas Parade follows at 6:00 p.m.